With over 30 years in the recruiting business, including 25 as the founder and president of my own Houston staffing agency, I have had the good fortune to work with a number of exceptional HR professionals. While as with any profession, there is no one size fits all approach, I have observed several traits that are consistently demonstrated among those who have risen to the top of the HR field. Being able to identify and attract talent is a core attribute of any successful business professional, but is critical for an HR executive. There are some who seem to have a knack for hiring great people – and I’ve found that they tend to be highly inquisitive by nature. They ask the right questions and then listen – they never accept a candidate’s first answer and they’re not afraid to probe. Sifting through layers of information allows them to identify a candidate’s true skills and motivations – resulting in the best fit for their goals and talents. I believe many people are put in the right company, but maybe the wrong department or with the wrong people – or vice versa — simply because the process was rushed and not enough time was spent probing and listening to the candidate’s true motivations. Today’s HR departments are highly focused on ROI and rightfully so. HR professionals know they must demonstrate return on their initiatives if they’re going to be taken seriously as a key figure on their companies’ leadership teams. But managing up with numbers should not be done at the expense of maintaining genuine compassion and a desire to help people. Think about the true HR stars you’ve come across – they certainly have a grasp of the financial aspects of their business, but they haven’t lost their joy for working with people and the intrinsic rewards that come with positively impacting careers and lives. Don’t lose sight of what initially attracted you to the field. You’re unlikely to be thought of a leader in your field by taking the same steps and doing things the same way they’ve always been done. The HR professionals that I’ve seen rise to the top are truly interested in learning and tend to embrace more experimental approaches. Being considered a thought leader involves taking intellectual risks. Not everything is going to work, but your colleagues will begin to recognize you as someone who is truly trying to move their field forward. Believe it or not, I still remember when assessments, job fit surveys, and behavioral interviewers were considered controversial. Without forward-thinking HR professionals we’d still be asking candidates to “tell us about yourself”. Are these 3 traits consistent across the exceptional HR professionals you’ve come to know? Share with us in the comments! 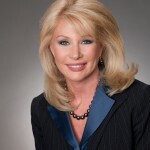 About the Author: Marsha Murray is founder and president of Murray Resources, the Houston recruiting firm and staffing agency she founded in 1988. As the president of a 100% woman-owned business, Marsha has been a devoted advocate of women in business, successfully placing thousands of job candidates in her 30-year career. In 2004, the Small Business Administration in Houston named Marsha the ‘Women’s Business Advocate of the Year’. Murray Resources has been named one of Houston’s ‘Fastest Growing Woman-Owned Businesses’ by the Houston Business Journal, as well as ‘One of Houston’s Best Places to Work’.